The origins of the first people to inhabit the island of Menorca date back to the Bronze Age. That explains why the island boasts so many megalithic monuments and caves, such as the Talaiotic sites at Trepucó and Tudons. The island’s early Christian past is shown in the Basílica de Son Bou and the remains of the fortress close toSanta Águeda. Mahon is the capital and most important city. Its natural port is considered one of the most beautiful in the world. Nearby is the Mola Fortress and the San Roc Bastion. 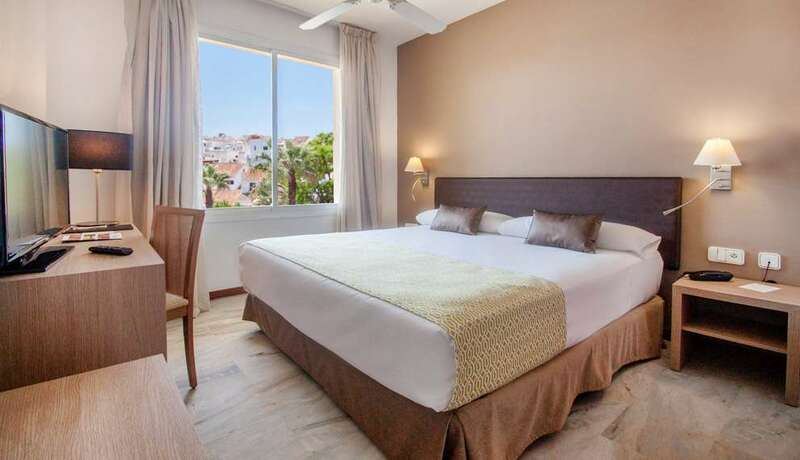 Close by, in the grounds of a former convent, is the not-to-be-missed Menorca Museum In the historical centre you’ll find the hotels in Menorca that best cater to your needs, such as the beautiful Catalonia Mirador de Port. Ciudadela was founded in the 12th century and has preserved many of its original constructions ever since. Inside its walls is the 14th century Santa María de Ciudadela Cathedral-Basilica. If you like sunbathing and swimming in the cooling water, you’ll love the beaches of Menorca. From Cala Pregonda to the smaller and more welcoming Cala Es Talaier, where you’ll have to be quick to bag a spot. And if poking around for bargains is your thing, the Menorca street markets feature local and exclusive products you won’t want to miss. There are innumerable stalls in summer! Also in Menorca you can visit Monte Toro, the highest point on the island; Fort Marlborough, built by the English during the 18th century in their battle to control the Mediterranean; Binibeca, a stunningly beautiful white coastal town; S’Albufera des Grau, the largest nature park on the island, and Faro de Favaritx, with its lunar-like landscape. 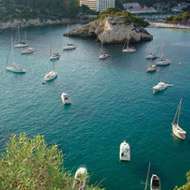 If you choose to stay in our hotels in Menorca, another good idea is to take to the high sea for a day of sailing. Seeing the land from the sea and discovering a different viewpoint is awe-inspiring. To eat, we recommend D. O. Mahon-Menorca cheese and the local sobrasada raw cured sausage. For mains, try a lobster stew, followed by an ensaimada or pastissets pastry for dessert. The Catalonia Hotels & Resorts hotels in Menorca offer an extensive menu of suggestions and local produce to delight your palate. Situated near the historic centre of Mahón, the hotel offers magnificent views of the city's natural port. During the day, it has a special charm because it offers beautiful landscapes and, at night, because it shows the calm of the port under the moonlight. 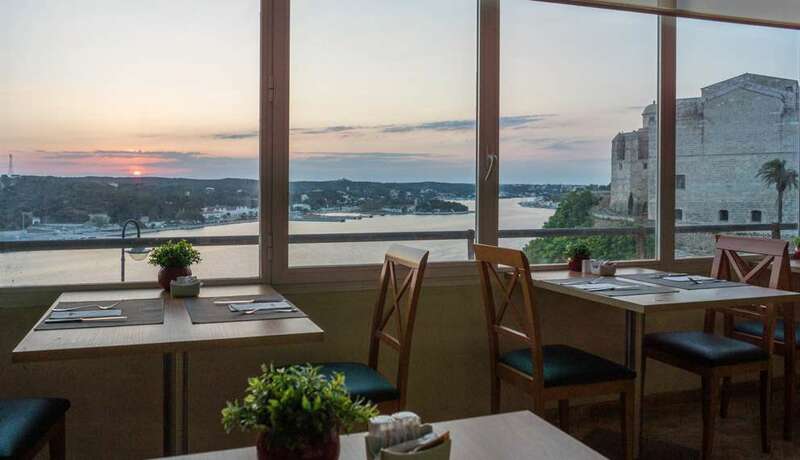 This family hotel offers comfortable rooms, a swimming pool with a garden and a restaurant with excellent views of the port. 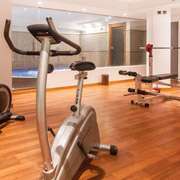 The hotel is very well located in a peaceful area close to the centre of Maó, just 10 minutes away on foot. The views from the hotel are gorgeous, as it stands right on the waterfront. You can take in the romantic sunsets from the hotel itself or, if you prefer, while dining at the Mirador restaurant. Come and spend a relaxing break at the Catalonia Mirador des Port together with your family or partner. The rooms have comfy beds and are lovely and bright. They also have free wifi, a television, safe and many other services to guarantee you a perfect stay. In the morning we prepare a great breakfast so you can get your day off to a good start! The buffet breakfast (April to September) boasts a large variety of food and live cooking. Meanwhile, you can enjoy the wonderful views from the Catalonia Mirador des Port. If you're staying with kids, they can enjoy a pool just for them, plus children’s activities and excursions which we can prepare so you get the most out of Menorca and Maó (with an extra cost). From boat trips to water sports like diving through to golf and paddle tennis. If you’re a beach fan, Menorca will take your breath away with its stunning beaches and bays that are just as impressive as anything you’d find in the Caribbean. You can get to them quickly with our car hire service and we will arrange it all so you just have to arrive and start to discover the charming island of Menorca. Come and enjoy a fun-filled holiday! 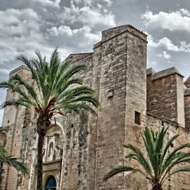 This pretty city in the east of Menorca has a history behind it you can only appreciate by walking the streets, when it will reveal the historical imprint of all the people who have passed through the island. 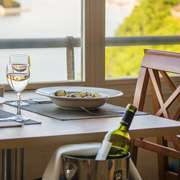 Our hotels in the centre of Mahon will ensure you have a wonderful evening. Did you know this is where the traditional and spectacular horse-back event called the jaleo is held? This is one of the largest beaches on the island and possibly the most touristy. 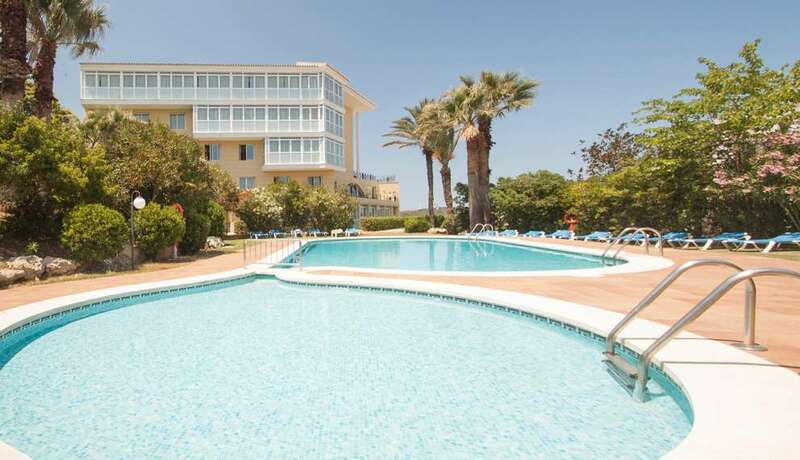 Located in the south of Menorca it covers an extensive area and has all manner of services for visitors. If you're holidaying with your family it is one of the beaches where it’s easiest to park, although even here it could get tricky in summer. 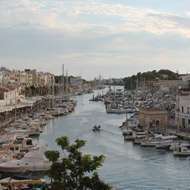 The most populous city in Menorca. The curious natural phenomenon of Sa Rissaga can be seen from Ciudadela port where we suggest you have dinner and a stroll because it is a place with a great deal of charm. You have an extensive catalogue of hotels to make your visit to Menorca an unforgettable experience.